I swear these are the last of the Easter photos! I guess I should expect this to happen when my family has three different Easter celebrations. Anyway, these are the pics from my Dad's house. The kids love running around his big yard and riding in the wagon, too. As you can see, there are absolutely no photos of adults. I have learned this is what happens once kids are born into the family...there is now no need to photograph the adults. Adults only exist for being the vehicle of the children. For real. My kiddos love every chance they get to play with Ally, so they loved this day. 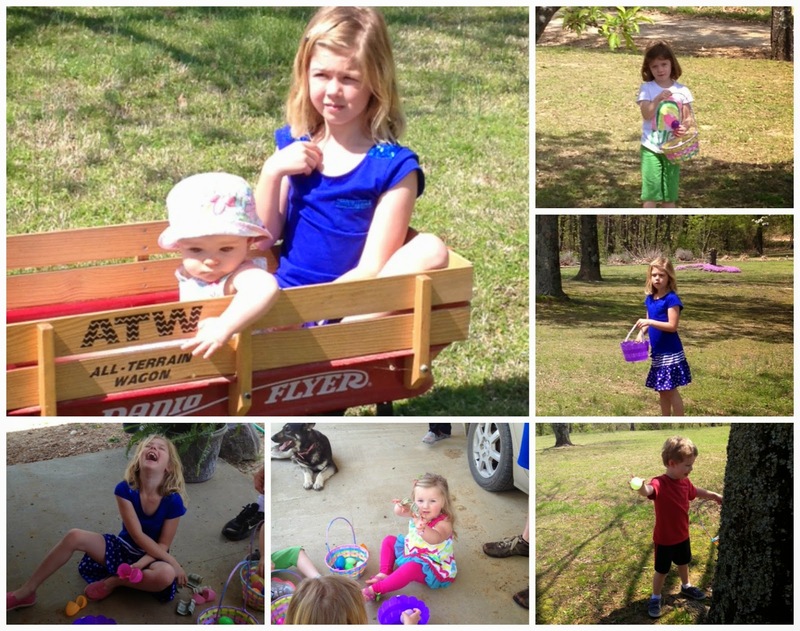 And you can see who was most excited about finding the "money eggs." We also got to meet Ally's new baby brother, who is such a cutie! Suddenly we are finding our family overflowing with babies! * Click on the photos to make them larger.